A Classical Pilates Studio for those who are committed to a healthier, happier life! Anyone can benefit from Pilates! It is the most thoroughly developed exercise system ever conceived for the human body, period. — We aim to imbue others with the energy, enthusiasm and joy we gain ourselves from its unique benefits. At East Bay Pilates, we accomplish this every day by building meaningful relationships with and between our clients. The owner of our Oakland Pilates studio, Faye Stevenson, is a second-generation certified and expert Pilates instructor. Faye has dedicated many years of her life to learning how Joe Pilates meant to instruct students in his system. 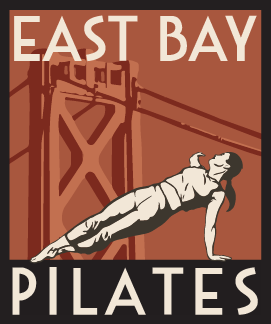 Every instructor at East bay Pilates has ben certified in the classical Pilates system.